Chaste tree berry (Vitex agnus-castus) is a highly effective herb for promoting hormonal balance in women. It is especially useful for relieving symptoms associated with PMS and menopause, but is also specific as an adjunctive to promoting overall reproductive health in women, including supporting normal ovulation. 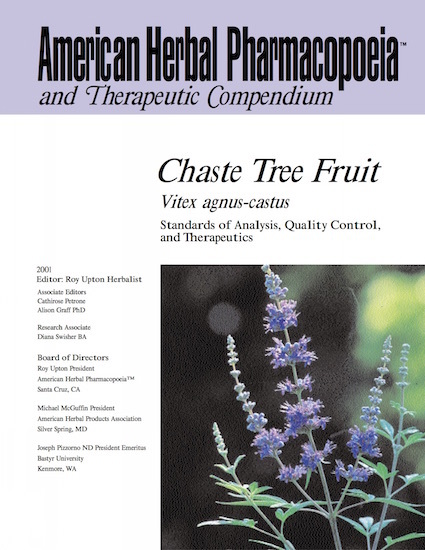 There are a number of Asian species of Vitex that are used as substitutes for the authentic European or Mediterranean vitex that are completely ineffective for reproductive health, an issue addressed in the AHP monograph. Chaste tree berry is an underutilized botanical with far-reaching beneficial effects for women.